A slim Optical Drive is cool and well very handy, but have you seen an ultra slim ODD? Yes, there is now an available ultra slim optical drive from ASUS. The slickness and slimness of this ODD is simply one that you can't resist. 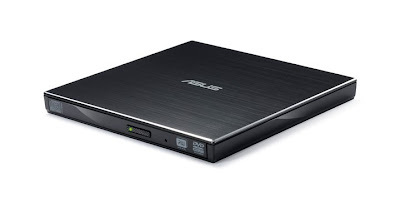 The ASUS Ultra Slim ODD is ideal for laptops and notebooks which demands perfect mobility and less weight. This device is USB powered so there will be no hassle getting it on and using it. The ASUS Ultra Slim optical drive's design provides not only coolness in it but also absolute portability and can fit in any bag. It's thickness is about 14mm and is very lightweight. It is a DVD-RW which extends full DVD read and write data and content handling to any Windows PC.